I painted this in one hour at a community paint workshop, in which we were to paint an idyllic scene of three hearty trees on a pleasant landscape. 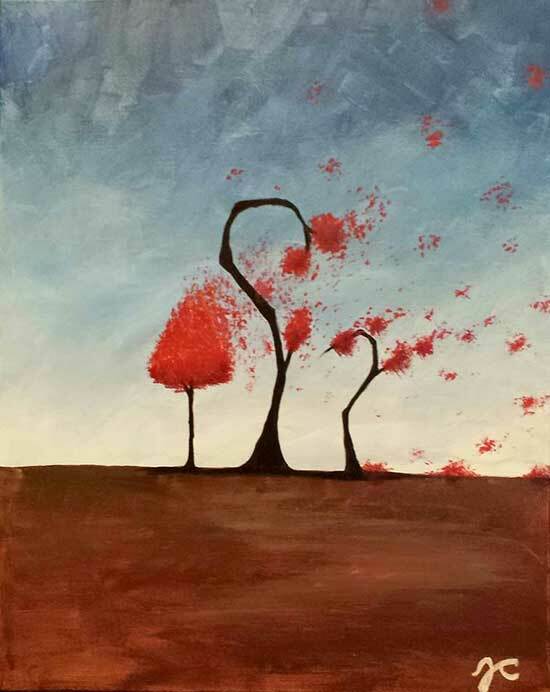 I chose instead to paint my own variation of staggered, writhing trees with leaves flying off with the wind. I painted this by impulse and without much intention. It wasn't until this morning, a few months later, that I realized what I had been trying to express then: Anger borne of pain in a cold and barren land.